New York State's oldest house, the Wyckoff Farmhouse in Brooklyn (c.1652), is a National Historic Landmark and New York City Landmark. A new cultural education center designed by nARCHITECTS facilitates public programs and events. 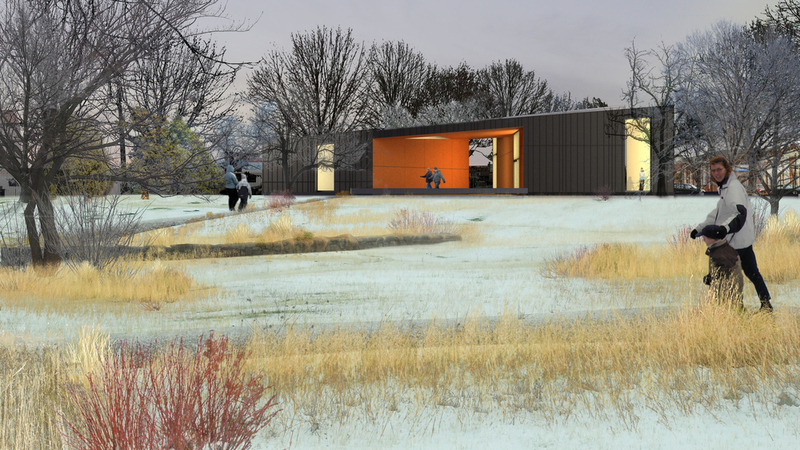 Nancy Owens Studio enhanced the visual connection from the new building's portal to the historic farmhouse by creating an open, multi-purpose landscape featuring native grasses. A low stone wall provides a visual base for the farmhouse and seating for outdoor programming and school group.